The people who walked in darkness have seen a great light; those who lived in a land of deep darkness-- on them light has shined. You have multiplied the nation, you have increased its joy; they rejoice before you as with joy at the harvest, as people exult when dividing plunder. For the yoke of their burden, and the bar across their shoulders, the rod of their oppressor, you have broken as on the day of Midian. For all the boots of the tramping warriors and all the garments rolled in blood shall be burned as fuel for the fire. For a child has been born for us, a son given to us; authority rests upon his shoulders; and he is named Wonderful Counselor, Mighty God, Everlasting Father, Prince of Peace. His authority shall grow continually, and there shall be endless peace for the throne of David and his kingdom. He will establish and uphold it with justice and with righteousness from this time onward and forevermore. The zeal of the LORD of hosts will do this. Christmas is filled with details large and small, but the important detail is God's incredible love in Jesus Christ who came to save us. One of my childhood Christmas highlights was putting up the crèche. I don’t know why my Norwegian family called the nativity set by its French name, but we did. First we would put the wooden framework in place. In back of it was a music box which we wound to play a tired version of “Silent Night” while we unpacked the ceramic pieces which were wrapped in newspaper from the previous January. Mary was all dressed in blue, Joseph in brown and green, several sheep, a donkey, a cow with broken horns, two shepherds, and a manger with two baby Jesuses just in case one got lost (because, apparently, one had gone missing one year when I was very young, and I had become hysterical about the missing baby Jesus who was later found). The kings were there, complete with a glossy lacquer finish which, 50 years ago, was a sort of bling. When all that was in place, we got the step-stool from the kitchen, climbed up, and carefully pushed a hatpin into the ceiling tile. From that pin hung three-feet of fish-line and a silver star. In my teens, I started managing the crèche in keeping with Luke’s story. The animals arrived first and made themselves at home (it was their stable, after all). Then Mary and Joseph arrived with an empty manger between them. Finally, Jesus took his place in that manger, the star was put into place, the shepherds came, and the wise men started their long trek from across the room. There are a lot of details involved in our celebration of Christmas, but I want to assure you that, if the little baby Jesus gets lost or if the wise men take their places in the stable in early December, the sky is not going to fall, no curse has been put upon you, and those of us with OCD will not un-friend you. 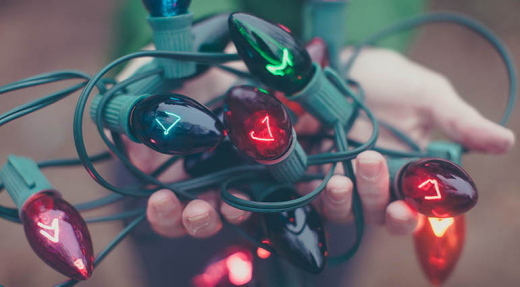 Christmas is all in the details, but not THOSE details. we could not save ourselves. So God came to earth as a human baby to save us as no one and nothing else could. so God gave everything to redeem us from ourselves. New Revised Standard Version Bible, copyright 1989, Division of Christian Education of the National Council of the Churches of Christ in the United States of America. Used by permission. All rights reserved. The New Revised Standard Version Bible may be quoted and/or reprinted up to and inclusive of five hundred (500) verses without express written permission of the publisher, provided the verses quoted do not amount to a complete book of the Bible or account for fifty percent (50%) of the total work in which they are quoted. Sermon shared by Mari Larson Dec 27, 2015. 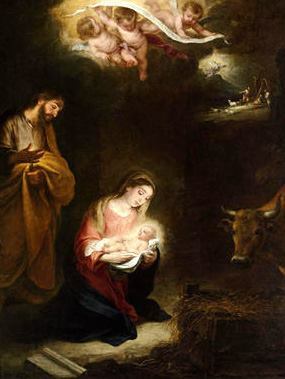 LHM Daily Devotion - "The First Christmas Card"
And in the same region there were shepherds out in the field keeping watch over their flock by night (Luke 2:8, ESV). Writing Christmas cards is not always the most fun thing to do, especially when you have stacks and stacks of them. But it sure is fun to open the mailbox and find it stuffed with Christmas cards, announcing Jesus' great birth. We cover our front door with the cards mailed to us. A Christmas greeting and announcement was one of the most memorable things about the first Christmas too. Now that His Son is born, it is time for God to send out announcements to let the world know. What better messengers than angels? Interestingly, God didn't choose rich, prominent, important people to be the first to hear the glad tidings of the Christmas angel. Instead, He chose poor, lowly shepherds and sent His angel to give them the very first Christmas announcement. Shepherds didn't have the best reputation at the time, especially in their local synagogues or churches. But theirs was still an important and ancient profession. Adam and Eve's second son Abel was a shepherd, before he was murdered by his jealous brother Cain. Jesus' own human ancestors Abraham, Isaac and Jacob had all been shepherds, as had been another famous ancestor, King David. In time Jesus would show the greatest honor to shepherds, taking that title as His own and calling Himself the "Good Shepherd." Like these shepherds, Jesus was willing to lay down His life to protect His sheep. Unlike them, He could lay it down on the cross and take it up again on the third day. This He did so He would always stand guard over His flock, and gather us together as His own. THE PRAYER: Lord Jesus, our Good Shepherd, thank You for laying down Your life and taking it up again for us. Guard and keep us in this faith until the day of Your returning. Amen. En el Edén había quedado claro que Dios no dejaría a la deriva aquello que había creado con tanto amor y dedicación. Dios no renegó de su creación. Es que los humanos habíamos sido creados para vivir cerca de Dios. Por siglos, Dios daría señales intensas de ese amor profundo y demostraría su afecto entrañable que quiere atraernos cerca de su corazón. Y también por siglos, los seres humanos rehuimos de ese abrazo que Dios quería estrecharnos. En Belén se nos muestra hasta qué punto Dios estuvo dispuesto a llegar, por amor. La brecha entre el santo y el pecador, entre el cielo y la tierra, iba a cerrarse a través de su auto-entrega misteriosa: Dios iba a atravesar el abismo haciéndose humano para estar con nosotros, para actuar por nosotros, para ser nuestro Emanuel. A través de Jesús-el Dios encarnado-se tendería un puente precioso entre el Creador y su creatura. Por ese puente Dios viene a la tierra y el hombre asciende al cielo. La navidad le devuelve la gloria a quien la merece y la paz a quien la ha perdido: a Dios y al hombre. Cuando el hombre quiso robarle la gloria a Dios en el Edén, se acabó la paz. Cada vez que con nuestros pensamientos, palabras y obras, le disputamos la gloria a Dios, la paz deviene en conflictos, dolores y muerte. 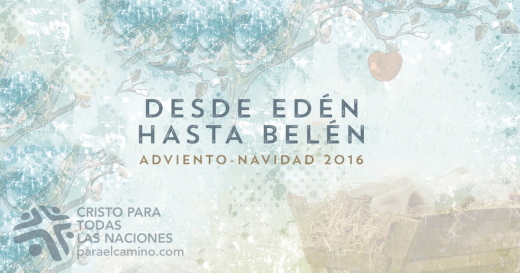 Ahora, en Belén, la paz vuelve a ser una posibilidad cierta: en Jesús, los seres humanos pecadores gozamos del favor de Dios. ¡Gloria a Dios en las alturas! ¡Paz a los hombres! Te glorificamos, Padre, en esta santa navidad. Gracias por descender a nuestra condición para elevarnos a la tuya. Danos tu eterna paz y tu perdón. Por Jesús. Amén. In Luke’s account of the Christmas story, an angel announced the birth of Jesus to a group of shepherds saying, “Do not be afraid. I bring you good news that will cause great joy for all the people. 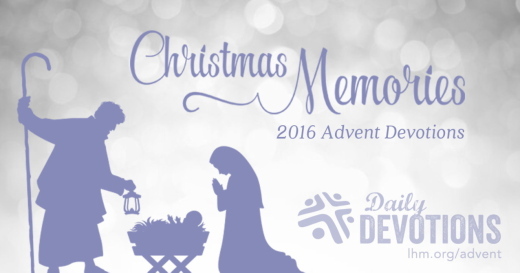 Today in the town of David a Savior has been born to you; he is the Messiah, the Lord” (Luke 2:10–11). Father, give us eyes to see people of all nations as recipients of Your grace and joy. 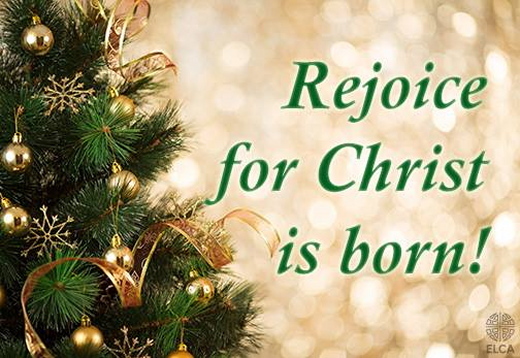 The good news of Jesus’s birth is a source of joy for all people. … No temáis; porque he aquí os doy nuevas de gran gozo, que será para todo el pueblo (Lucas 2:10). El último día de una conferencia de editoriales cristianas en Singapur, 280 participantes de 50 países se reunieron en el jardín del hotel para tomar una fotografía grupal. Desde el balcón del primer piso, el fotógrafo sacó varias fotos desde distintos ángulos antes de decir al final: «Terminamos». Una voz entre la multitud exclamó con alivio: «Bueno… ¡Al mundo paz!». A lo que otro replicó: «Nació Jesús». Uno tras otro empezó a cantar, hasta que todo el grupo entonó el conocido villancico. Fue una muestra conmovedora de unidad y gozo que nunca olvidaré. En el relato de Lucas de la historia de la Navidad, un ángel anunció así el nacimiento de Jesús a un grupo de pastores: «No temáis; porque he aquí os doy nuevas de gran gozo, que será para todo el pueblo: que os ha nacido hoy, en la ciudad de David, un Salvador, que es CRISTO el Señor» (Lucas 2:10-11). El gozo no era para pocas personas, sino para todos, «porque de tal manera amó Dios al mundo, que ha dado a su Hijo unigénito» (Juan 3:16). Al compartir con otros el mensaje de Jesús que transforma la vida, nos unimos al coro mundial, aclamándolo «por tan precioso don, que Dios nos da con gran amor». «¡Al mundo paz, nació Jesús!». Señor, que podamos ver a todas las personas como receptores de tu gracia y tu gozo. La buena noticia del nacimiento de Jesús es motivo de gozo para todos. Am letzten Tag einer christlichen Verlagskonferenz in Singapur versammelten sich 280 Teilnehmer aus 50 Ländern auf dem Platz vor dem Hotel, um ein Gruppenfoto zu machen. Vom Balkon im zweiten Stock machte ein Fotograf Aufnahmen aus allen möglichen Perspektiven, bis er schließlich sagte: „So, das war‘s.“ Worauf eine erleichterte Stimme aus der Gruppe ertönte: „Freue dich, Welt!“ Sofort fing jemand anders an zu singen: „Dein König naht“, und andere fielen ein. Bald sang die ganze Gruppe in vollendeter Harmonie das bekannte Weihnachtslied. Es war ein bewegender Eindruck, den ich nie vergessen werde. In der Weihnachtsgeschichte, wie Lukas sie berichtet, erscheint ein Engel einer Gruppe von Hirten, um ihnen die Geburt Jesu zu verkünden. „Fürchtet euch nicht!“, sagt er. „Siehe, ich verkündige euch große Freude, die allem Volk widerfahren wird; denn euch ist heute der Heiland geboren, welcher ist Christus, der Herr“ (Luk. 2,10-11). Die Freude war nicht nur für ein paar wenige Menschen, sondern für alle. „Denn also hat Gott die Welt geliebt, dass er seinen eingeborenen Sohn gab“ (Joh. 3,16). Vater, schenke uns Augen, die die Menschen aller Völker als Empfänger deiner Gnade und Freude sehen. Die frohe Botschaft von Jesu Geburt ist eine Quelle der Freude für alle Menschen. В последний день конференции для христианских издателей в Сингапуре 280 участников из 50 стран собрались на открытой площадке перед гостиницей для общей фотографии. Фотограф, поднявшись на балкон второго этажа, сделал множество снимков под разными углами и после всего сказал: «Все, конец!» Один из фотографируемых облегченно воскликнул: «Радуйся мир!» Тут же кто-то ответил пением: «Христос грядет!» Другие подхватили, и вскоре сотни голосов гармонично пели знакомое рождественское песнопение. Это было впечатляющее проявление единства и радости, которое я никогда не забуду. В рождественском повествовании из Евангелия от Луки ангел возвестил рождение Иисуса Христа пастухам, сказав: «Не бойтесь. Я возвещаю вам великую радость, которая будет всем людям; ибо ныне родился вам в городе Давидовом Спаситель, Который есть Христос Господь» (Лк. 2:10-11). Радость возвещалась не закрытому кругу избранных, а всем людям. «Ибо так возлюбил Бог мир, что отдал Сына Своего единородного» (Ин. 3:16). И мы возвещаем преображающую жизнь весть Иисуса Христа всем людям, славя Бога за то, «как Он нас возлюбил». Отче, открой нам глаза, чтобы видеть людей из всех народов как восприемников Твоей благодати и радости. Благая весть о рождении Иисуса Христа – источник радости для всех людей. Le dernier jour d’un congrès du monde de l’édition chrétienne se tenant à Singapour, 280 participants provenant de 50 pays différents se sont réunis sur la place extérieure d’un hôtel pour une photo de groupe. Juché sur un balcon du premier étage, le photographe nous a pris en photo sous divers angles avant de finir par déclarer : « C’est fait. » Une voix dans la foule a alors crié de soulagement : « Well, Joy to the world ! » (Alors monde, réjouis‑toi !) Immédiatement, quelqu’un a enchaîné en chantant : « The Lord is come » (Le Seigneur est venu). D’autres se sont joints à eux, et tout le groupe a vite entonné ce cantique bien connu dans une merveilleuse harmonie. Je n’oublierai jamais cette scène émouvante d’unité et de joie. Dans le récit que fait Luc de l’histoire de Noël, un ange a annoncé la naissance de Jésus à un groupe de bergers : « Ne craignez point ; car je vous annonce une bonne nouvelle, qui sera pour tout le peuple le sujet d’une grande joie : c’est qu’aujourd’hui, dans la ville de David, il vous est né un Sauveur, qui est le Christ, le Seigneur » (LU 2.10,11). Or, ce sujet de joie n’est pas destiné à quelques personnes, mais à tous : « Car Dieu a tant aimé le monde qu’il a donné son Fils unique » (JN 3.16). En communiquant le message transformateur de vie de Jésus aux autres, nous nous joignons à la chorale mondiale qui proclame « les gloires de sa justice et les merveilles de son amour », comme le dit le cantique. Monde, réjouis‑toi ; le Seigneur est venu.